Warning Lights: Should You Really Accept That Job? 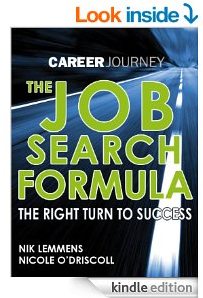 #Infographic - Your journey to a new career. 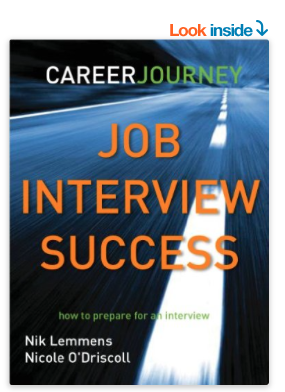 In today’s economic climate, it can be a challenge to even gain a job interview, let alone actually obtain employment. With that being said, one should never settle for a position that is less than tolerable for the purpose of trying to make ends meet. 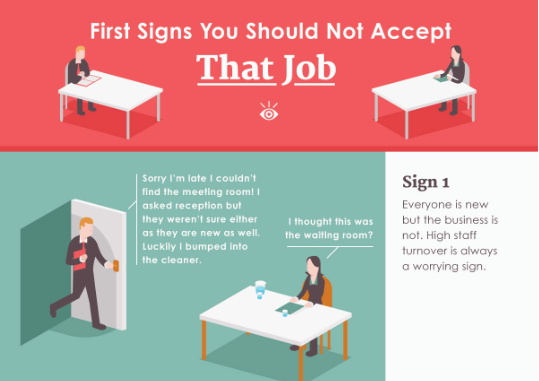 Here are some warning signs that indicate that a job offer should not be accepted. At the risk of sounding like Jeff Foxworthy, you know you’re interviewing for a bad job when the following situations occur. Everyone, including the hiring manager, is fairly new to an established company. This indicates high turnover. Another red flag is the interviewer expecting you to “wear many hats” or overlap the job responsibilities of others whilst complaining about the incompetency of the existing employees. Prior to that job interview, you should also check job postings. Have you seen that position posted online time and again in the past few months? If so, that is most likely a sign of high turnover. Lastly, upon interviewing with the employer, take in the surroundings of the behavior of the employees. Look for tell-tale signs of job dissatisfaction, such as body language, blunt honesty, and intimidation in the presence of the boss or supervisor. If you are also expected to contribute for up-front costs for a background check, office space, and work equipment, then this is also a bad sign of financial insolvency of this prospective employer. To summarise, the most important and obvious observations to note are the attitudes of the interviewer and the employees. If you’d like to save some time and weed out potential bad employers, screen the employer for many repeat job postings and look for negative employee reviews on sites like Glassdoor.